After some trepidation by fans, Better Call Saul proved it could stand on its own in the very first episode, and by episode two, it was obvious this was its own universe. But that didn't mean the occasional Breaking Bad reference or character might sneak itself in. Since its inception, people have been wondering when Bryan Cranston's iconic Walter White and Aaron Paul's Jesse Pinkman might return. Sure, Walt is dead, creator Vince Gilligan makes no mistake about that. But because Better Call Saul is part prequel, anything is possible. The indelible Heisenberg will return! Just not in Better Call Saul Season 2. 'When?' Is another question Vince Gilligan isn't ready to answer yet. He explains it to New York Daily Mail. "It would be great to see Walter White on Better Caul Saul. It would be a shame if the show had its run, hopefully a very long run, and he never appeared. I have to be coy. All of the wonderful characters who may eventually appear on Better Call Saul will appear when it is most organic and fitting to the storytelling of Better Caul Saul and also when we can work out scheduling issues with actors. I would love to see that personally." Bryan Cranston may actually return to the show during Better Call Saul Season 2, but it will be behind the camera. There are rumors that he will direct an episode, perhaps even two. About that, Vince Gilligan goes onto tease. "We are greedy because we would love to see Bryan direct an episode aside from acting in it at some point." Having Bryan Cranston come into direct is all about scheduling, with the acclaimed actor working on a number of different film projects at the moment. With the show set 6 years before Breaking Bad, many have wondered how they will make Walter White look young again. Vince Gilligan assures this won't be a problem for Bryan Cranston. "He just wills it and it happens." Better Call Saul has already established the fact that it jumps around the timeline, showing what happened to Jimmy (aka Saul) after the events in Breaking Bad. It's possible that the spinoff will show events that happened during Breaking Bad, only from Bob Odenkirk's point of view. What do you think? 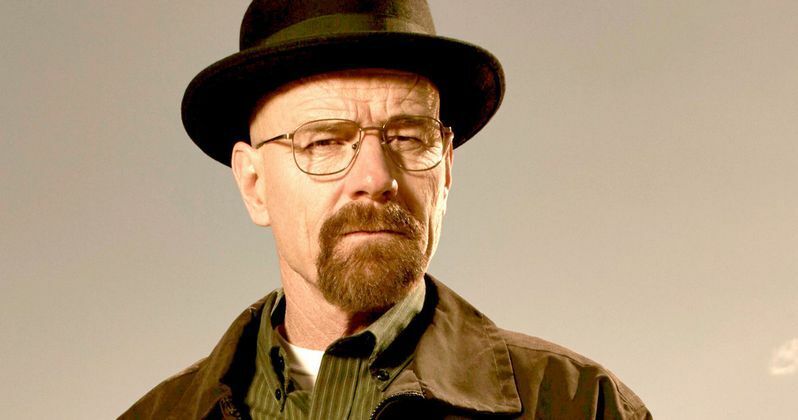 Do you want to see Walter White return? Or is the show doing well enough on it's own?